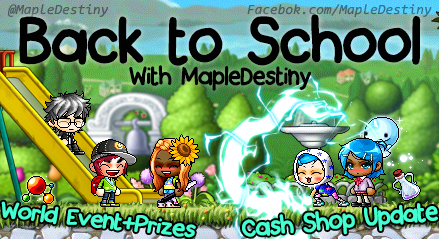 [Update 9.8.2015] Back to School! Join us for our Back to School EVENT! Our Development team just posted a new UPDATE! 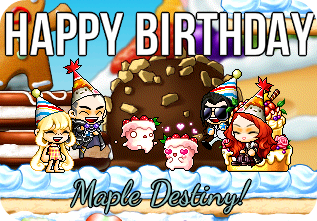 Maple Destiny is going through some massive changes, and we're ready to fill you guys in! Read our tell-all thread here! [Update 9.1.2015] Our first update! Have you seen the patch notes for our first update since changing staff? [Community Swag] BP and Friends is back! 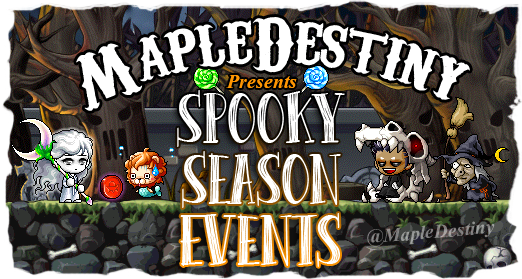 [World Event] Get ready for Summer! Three years and going strong!